Enter your details as they appear on your Identification Document. We will only be able to verify them if they are exactly the same. How do you want to receive? I also certify that I am above age, I reside in España and I do not breach any of the causes for prohibition established in España Betting Regulations. Your details are being checked on the citizen's register. WHERE CAN YOU FIND YOUR NIE SUPPORT NUMBER? The support number for your TIE / NIE is a password consisting of an E followed by 8 numbers. Why do we ask for it? In addition to your NIE, we must register the support number to be able to use it in the future when consulting the Identity Details Verification Service. 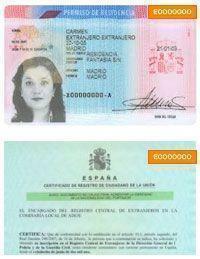 Residence Permit (TIE) Tarjeta de Identidad de Extranjero (Foreigner's Identification Card), on which the NIE for third country nationals appears. The support number appears in the upper right-hand corner of the card, exactly as we point out to you in the image. Certificate of Registration as an E.U. Citizen Document for citizens of the European Union: Foreign residents in Spain born in a member-country of the European Union.